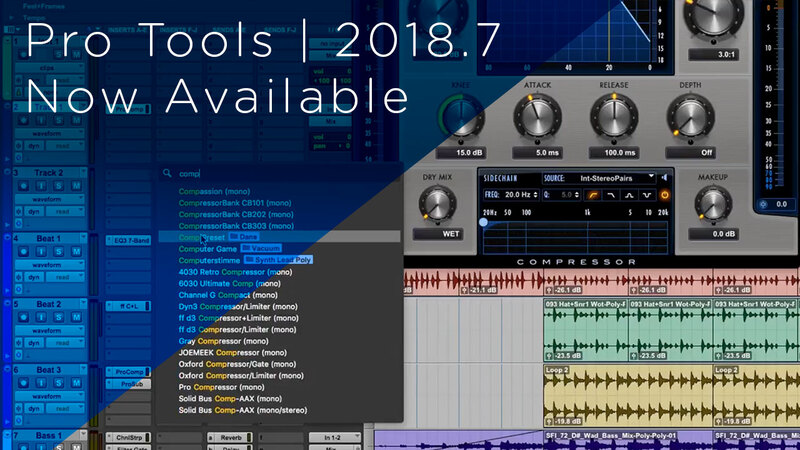 Avid has just announced the release of Pro Tools 2018.7, which is available now in your myavid account. This new Pro Tools update adds new features to all three tiers of Pro Tools that improve workflow, speed and efficiency for both music and audio post customers. It will be available to new customers, current subscribers, and users with an active upgrade plan. Forget scrolling through lengthy menus to find the plug-in or bus you need. With tag-like search capabilities integrated into the Inserts, Sends, Inputs, and Outputs menus, you can simply start typing and Pro Tools will instantly display all matching items, enabling you to assign VIs, effects, and busses much faster than before. You can see in this table what features have been added to Pro Tools during 2018. Already have a current Pro Tools Upgrade Plan? Just log into your Avid account to download the latest update. Otherwise contact RSPE to find out how to Upgrade to Pro Tools 2018.7!